I am so excited to participate in the Dresden Carnival Blog Hop! 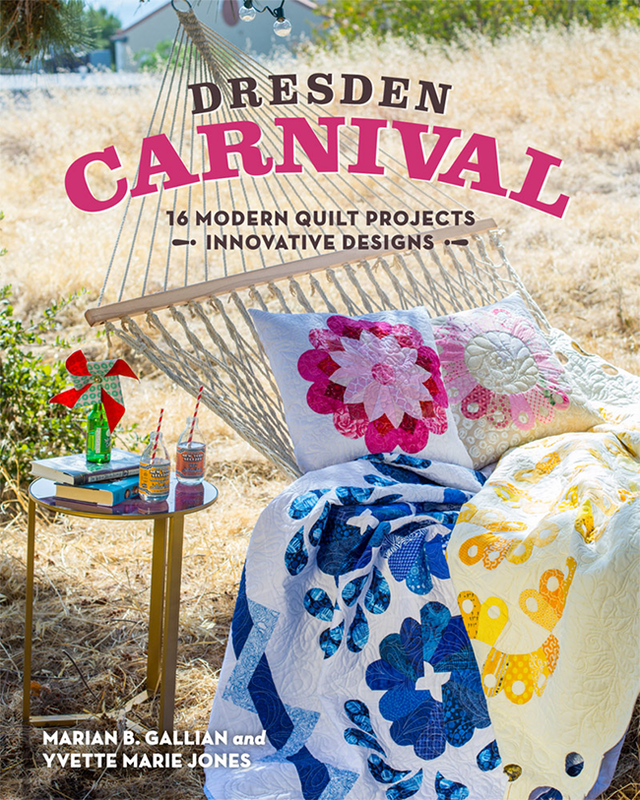 Dresden Carnival is a quilting book co-authored by Yvette Marie Jones and Marian Gallian of Pink Hippo Quilts. 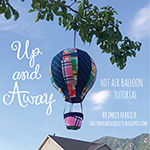 It's filled with 16 playful Dresden quilt projects and fresh ideas for beginners and advanced quilters. It released this month through C&T Publishing Stash Books. I jumped at the chance to participate since (shhhhhh, don't tell) I've never sewn a Dresden block and I've never tried needle-turn applique! Now, I am COMPLETELY hooked! I couldn't wait to get home at night to keep working on my project! I started with all pink but I wanted to change it up a little bit so I added some pale yellow and mustard for the center petals. I used Cotton Couture in Bright White for the background. I LOVE how it turned out and I think I'll have to make another... and maybe there's a full sized quilt in my future to match! I thought about adding some sparkle to the pillow with sequins (and even went so far as to buy them) but in the end, I went with some embroidery floss hand quilting. An international winner will receive an ebook, while a US winner will receive a hard copy. "Gorgeous pillow and colors!!! I am making a mini dresden butterfly right now to applique onto a pouch. 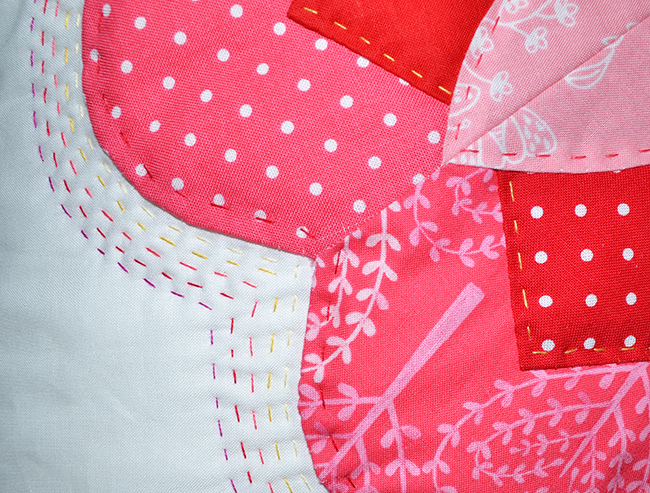 Dresdens are one of my favorite quilt blocks and i love applique. My favorite dresden quilt i have made is Carousel which is a pattern by Nicole Calver and was published in Love Quilting and Patchwork Magazine last year. Thanks for a fun giveaway!!!" I inherited some vintage dresden pieces ca. 1975, about 20 of them in various fabrics, textures and colors. Few of them had duplicates in the same piece. They are hand sewn with the edges are turned and stitched, ready to be sewn to a background. I've auditioned them with medium blue, dark green, purple and other shades. More trials are necessary and more inspiration before I put them into a quilt. I love your dresden pillow, the echo quilting is lovely. I have made a dresden quilt a few years ago, I had trouble with the scallops, the colors weren't bright, but I persevered and the quilt looks beautiful. 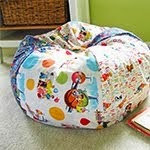 After seeing yours with the fresh fabrics I think I may need to make a second one. Thank you so much for the inspiration. Back in the 1980s I made a Dresden Plate with my mother to give to my sister. It is still in use. I love these different designs. Love your pillow! Great colors! I have a project I'm working on that has dresdens. I love applique so I'm hoping all goes well. Gorgeous pillow and colors!!! I am making a mini dresden butterfly right now to applique onto a pouch. Dresdens are one of my favorite quilt blocks and i love applique. My favorite dresden quilt i have made is Carousel which is a pattern by Nicole Calver and was published in Love Quilting and Patchwork Magazine last year. Thanks for a fun giveaway!!! I realize that I have only ever made traditional Dresden blocks for group quilts although I am in the middle of designing a quilt with Dresdan elements. I love your pillow and the fabrics you used. Our local university women's group sponsored a Healing Quilts program to display quilts in cancer treatment rooms at local hospitals. My contribution this year was based on a Dresden plate design. I used appliqued Dresden plates on a background of log cabin blocks to represent flowers. One of the Dresdens was actually two layers together. Some of the fabric was from collections of two good quilting friends who both passed away from breast and ovarian cancer. Hoping that this quilt will bring comfort to those who are being treated for cancer! Wow! That pillow turned out great!! I have only made a few placemats with the Dresden pattern and it was fun!! Love the colours of these fabrics!! Dresdens have always had my heart. They were one of the first patchwork blocks I learned to sew. 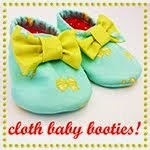 These colours are amazing and with how much I love Appliqué- these would be a treat. I have only made one Dresden plate pillow. But this pattern is one of my all time favorites and I definitely want to do more. I haven't tried Dresden yet but it's on my to make list! The pillow is absolutely gorgeous! I have no experience with a Dresden Plate design, but I love them and want to give it a try! I even bought a Dresden template, so I need to get busy! I have never made a Dresden quilt. 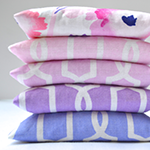 I thnk I have been a bit intimidated by the pattern, but your pillow is gorgeous and these fabrics are so lovely. Thanks for your encouraging words to try a Dresden, and thanks for the give-away! I am a new quilter (learned just last year) but Dresden plate is on my list of all time favorites. I have a sweet memory of tracing my great grandmothers Dresden plate over and over to fall asleep as a child. THis would be a perfect way to learn how to pass off the Dresden plate legacy! Your pillow is beautiful. My experience with Dresden plates is that I have the ruler! It's on my list of projects and you have inspired me to move it closer to the top. Most of my applique is machine applique. I have made several quilts and wall hangings. My daughters treated me to a needle-turned applique class last summer while we were in Hawaii. Their patterns are gorgeous. My project is a work in progress. I'm excited to see it finished. I've never made one but would love to! I have been wanting to make a Dresden plate block for a very long time, ever since I bought the template to help me make it! Appliqué is something that is still new to me and I am wanting to try it too! Thank you for the giveaway! 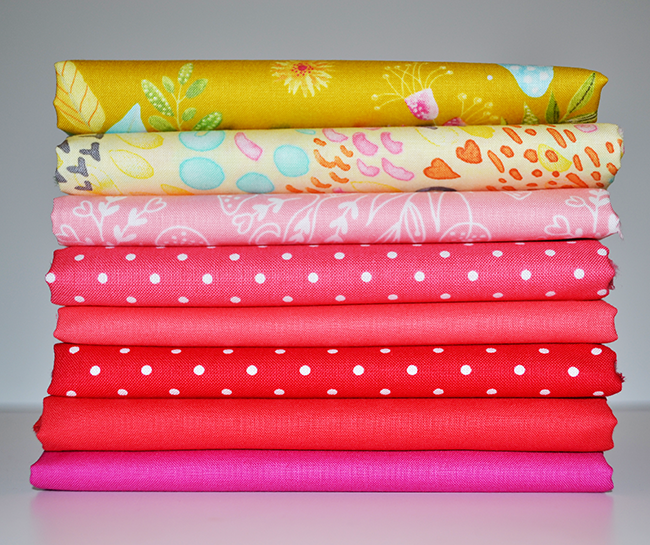 Thanks for the giveaway of such pretty fabrics! I have the Dresden plate template and have been wanting to make a block or 12!!! Appliqué is something that I have tried and want to make make more quilts using machine appliqué! 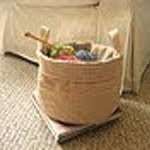 I've never made a Dresden, but I love the pattern and would love to try it! I've never made a Dresden, but I'd love to try it! I love the Dresden Plate block but sadly, have never attempted. The pillow is lovely and I may give it a try. 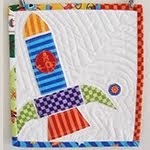 Needle turn appliqué is my absolute favorite and I have made many quilts with appliqué blocks. Like you, I have never made a Dresden plate before, but after seeing your gorgeous pillow I certainly want to try! 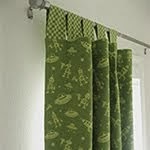 You chose lovely colors on the fabrics, also! I've done one dresden plate in my life, and I had almost all of the blocks done when I abandoned it because I didn't like my fabric choices. It's so key to use the right fabrics. Lesson learned! I have made a quilted Dresden tablecloth and matching curtains for my kitchen. It was my first Dresden and my first large appliqué project and I really enjoyed the process. This looks like an awesome book and the pillow you made is fantastic! Thanks! I've made Dresden Plate blocks for others in a bee, but none for myself, and done lots of applique, by hand and machine. Back-basted hand applique is my favorite technique. Thanks for this lovely giveaway, and the chance to win. I have made a quilt with traditional Dresden plate and am now looking for something with a modern look. I love taking old techniques and creating modern designs with them. Currently, I'm working on my first applique project. It's small but I'm learning paper turning and applique techniques at the same time. I've made two quilts with Dresden pieces. I love the look, and as I learn more about appliqué I hope another is in my future. 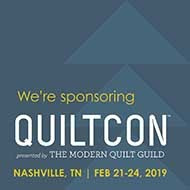 My first experience was slow going and I wrote about it here: cookingupquilts.com/woohoo-it's-a-finish It was a quilt of many firsts! 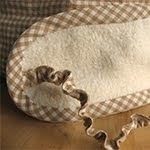 Your pillow looks fantastic and I love the hand stitching you added. Thanks so much for the chance to win that great bundle! 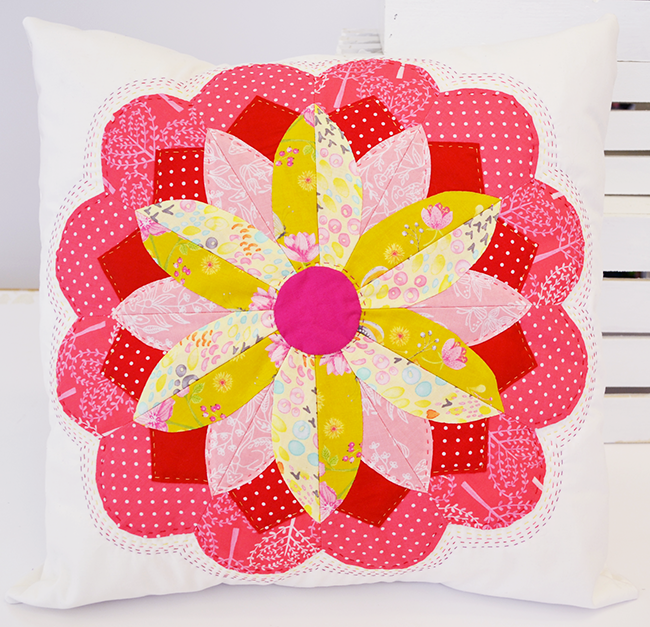 Your pillow is stunning .I love dresden block and was one of the first I made when I began learning quilting,we made a sampler quilt and one of the block I chose was a dresden.Tanksnfornthenchance to play with these colorfful bundle. I have never tried a Dresden Plate before, but I adore the style. Maybe Ill finally build up the courage to finally try it! Currently I am piecing a dresden plate...it is on my design wall trying to decide where it will go. So far...I love it! Years ago I cut out a Dresden quilt for my grandma (yes, before the days of rotary cutters!). I have done a Halloween Dresden pillow and will soon do a modern Dresden spin quilt. 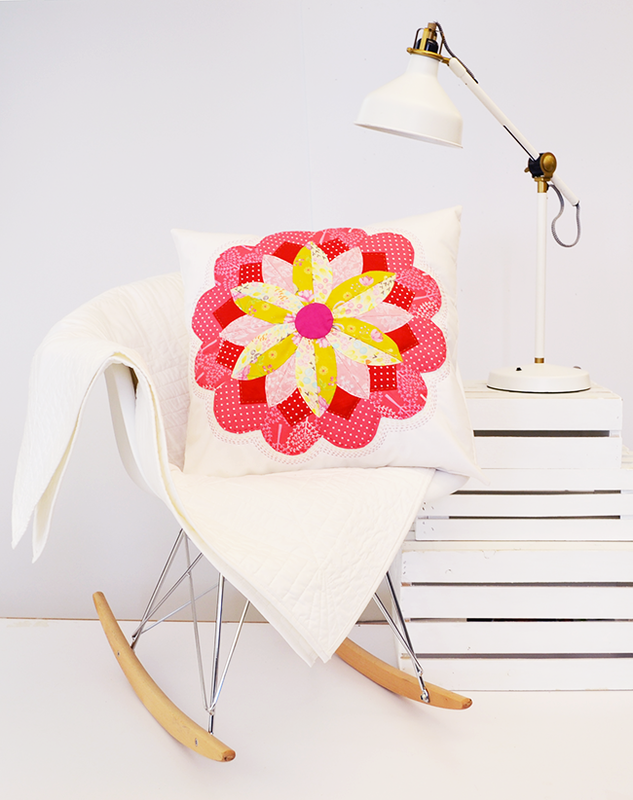 LOVE your pillow and quilting! I'm fairly new to quilting and have only tried two types of applique; fusible with blanket-stitched edges and the kind where you back the shape to be appliqued, cut a slit in the backing and then turn shape right side out and stitch the shape onto your project. I have not made any Dresden plates yet. I have bought a Dresden wedge template, so they're on my bucket list. I'd love to know how you achieved different shapes (elliptical & scalloped as well as pointed tips) with your wonderful pillow. Thanks for sharing this beauty and for the opportunity to win an awesome bundle of fabric! Shh!! I have never made a Dresden either. Although they are on my list. Nor done needle turn appliqué. Love your Dresden pillow. The very first quilts I made had dresden plate blocks in them. I learned quickly to love applique and hand quilting. Thanks for a chance at your give away! Luv the colors you chose-just a beginner-haven't gotten as far as to attempt dresden-one day. I have made several Dresden Quilts for friends and family! I could never pick a favorite because they are all such special projects and end up being so much fun to create. I usually prefer to sew my pieces on by machine, but have been exploring quite a bit with hand work and think that will be my next Dresden adventure. Thank you for sharing your post and this awesome opportunity to win this Dresden Treasure filled book of projects! I didn't care for the block until I saw a quilt made of many different sized plates. I had to have it! Now I have a newfound interest in the design. I will definitely be getting this book, have never made a dresdan plate, but LOVE them a lot. Thanks for the opportunity to win! My Dresden quilt is a UFO as the pieces are ready but the sewing machine is slow on the draw. The hesitation is probably because the fabric colors are plain and not inspiring. The carnival book and fabrics used are enticing. I've made dresden plate blocks as part of a sampler quilt. I'm not much on hand applique but there's always a first time for everything. I've never done a Dresden quilt before. However, I have done machine applique and enjoy that. Thanks for the chance to win! I've never made a dresden plate quilt but it's on my list to do and I just bought a ruler. I have lots of ideas and plans and the cotton candy pillow would be perfect. I have never tried a Dresden quilt, but this book makes them look so fresh, I would love to give it a try. Thanks for sharing the giveaway! I haven't tried Dresdan blocks, yet. Your pillow looks great, i might have to try them. I've ogled plenty of Dresden quilts and runners made by friends or bloggers. Let's say it's on my bucket list. As for applique, I'm just beginning to teach myself w/fusibles and find just the right stitch length and width on my machine to stitch 'em down. So far so good. I've made Dresden placemats. Someday I would like to make a Dresden quilt, perhaps one from this book! My first quilt block was a dresden and part of a sample quilt. Love the pillow. I love love your cute pillow. I have a Dresden ruler but haven't used it yet. 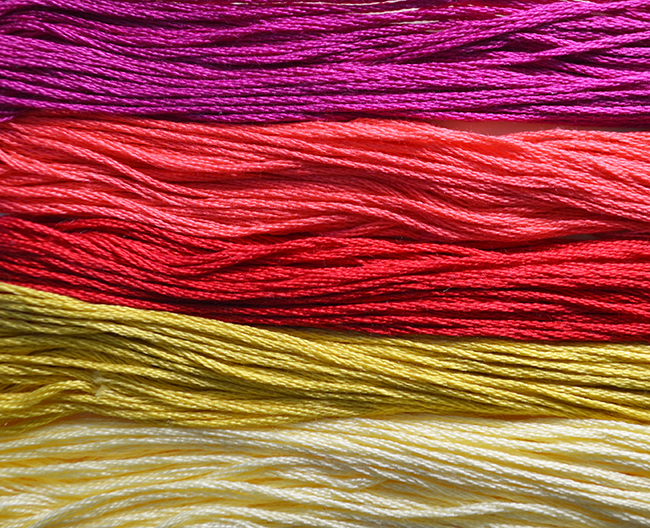 How many strands of floss do you use for the quilting? I've done some Dresden blocks for sampler quilts, but I have not done a whole quilt. Some of these designs tempt me to consider making a Dresden quilt. I remember finding a vintage dresden pillow from an ancient relative and loving it-- it is still a favorite block of mine! These are my colors. I haven't done any Dresden quilts in ages, now I want to do one. I will need to practice to get those points really nice and sharp. The applique part isn't hard just go slow. I love to work on applique projects but have not made a Dresden (yet). The pillow pattern is awesome. The pillow is beautiful! I've never made a dresden, but I love needle turn applique. I like the relaxing process and beautiful results. So I'm eager to do a dresden. Thanks for the chance to win! I made a very special quilt for my mom. I had never made a Dresden but loved the look. I made a practice pillow and when my mom said she loved my new pillow I knew the Dresden would be perfect to include in her quilt! Thanks for the chance to win! Haven't made a Dresden yet...tho had stitched a cheater fabric one & made a sewing machine cover. :) I do have a template tho, and I loooove Dresden's...my Daughter & I are going to start cutting pieces this summer! Looove your Pillow..so Summery! Let's see, I have never made a Dresden (as of yet... It is n the ever growing to do list), but I do enjoy doing appliqué I mostly use one of those appliqué stitches on my sewing machine. Thank you for hosting this fun giveaway! If I win, the Dresden may have to move way up on that list. I've never done any dresden's but I do like applique and love Michael Miller fabrics! 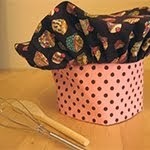 I have never tried making one! I made a zesty, vibrant Dresden Squared quilt for my sparky little niece. Now I just need to quilt it, which seems to be taking me an awfully long time. Once it reaches her, I think she'll like it; to my eye, it looks a lot like our Lizzy. 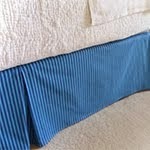 Although I'm new to quilting, I have been sewing all my life. I have never made Dresden quilt and would love the chance. I'm just learning applique. A Dresden plate quilt is on my bucket list. But I think I will start with a small project first. A pillow would be a great idea. I love yours . Thank you for sharing! I have been an admirer from afar, but recently a quilting bee friend started making them and the rest of my bee is catching the fever! I have never actually tried making a dresden. There is just something intimidating about them. Maybe it's time to try one out. Thanks for the chance to win! I've made two Dresden quilts and have a stack of fabric waiting to become a pieced wheel or cog-type design soon...Love the pillow and the fabrics. Be still my heart. Every post I open on this blog hop gets my heart racing. I love Dresdens of all kinds. This new publication is on my Must Have list. Thanks for sharing. I only have made one Dresden Quilt so far but since it is such a popular Quilt Block for bees, it feels like I have already sewn a few Quilts with it. I love how versatile the plates are and this book has amazing new designs! I've never sewn a dresden block (or done much quilting) but it's definitely something that I've been wanting to add to my sewing repetoire. your block looks amazing! I love the colors! I am new to quilting. 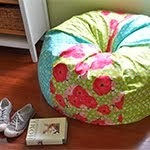 Ok, I haven't actually begun quilting but I DO love your cotton candy pillow. 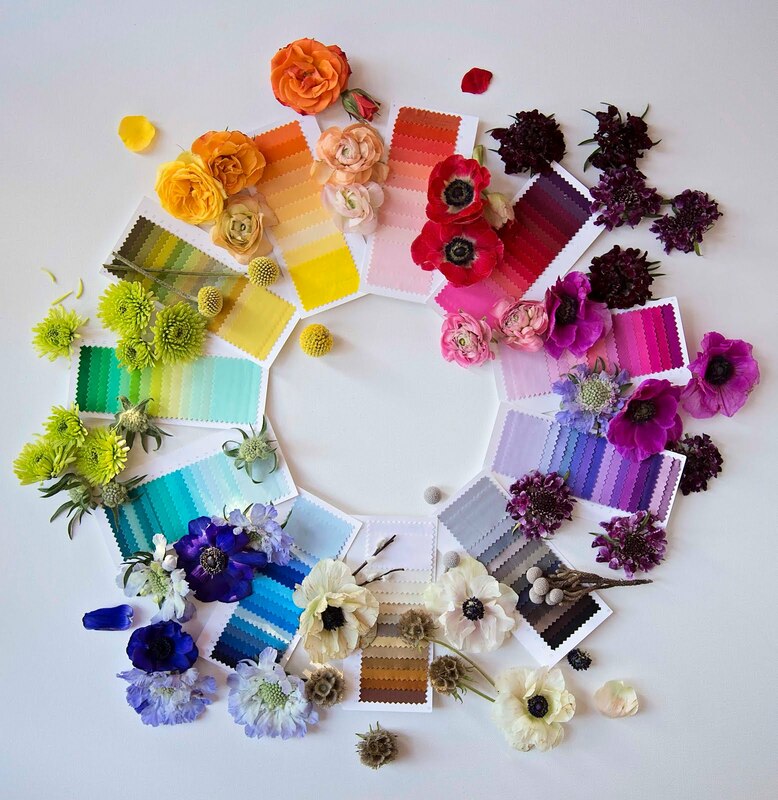 Such fun colors!! I am new to quilting, and have never used them before... but I'd love to. This book looks like a great resource. I added some dresden plate blocks to a bag I made and I really like how it turned out. Would like to work with this technique again. I've never made a Dresden quilt but the yellow one on the cover of the book has caught my eye! I'm new to appliqué too so a book with instruction on this technique would be a handy acquisition! I have made a mini Dresden wall hanging before and received a number of compliments for it. This is so pretty, I love it! What is the darker pink heart tree fabric though - that seems to be missing from the list. I have not really sewn dresdens before either. I have never made a Dresdan quilt but want to. 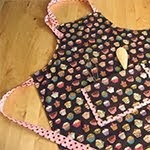 I have appliqued for years and love doing handwork. Your pillow is so sweet. I love the quilting in the different colors. I have never made a Dresden pattern but always admired them. I have taken a few applique classes and am very slowly improving my skill level. I haven't made a Dresden plate wuilt before-but it is on my list. I actually have a bunch of blocks my grandma made that were never finished that I would like to finish someday! Beautiful pillow! I'm making a Dresden Plate quilt for one of my granddaughters now. She chose this block because she said it looked like a flower. I'm using bright colors and am appliqueing them in a circular pattern. Thank you for the chance to win. Made a Dresden Plate quilt block once for a sampler quilt would love to give it a go again! That pillow is gorgeous. Dresden is on my future list of quilts to try. I just love the look. I am fairly new to sewing and quilting, so I am excited to get better at it and give this a try. I've owned and made Dresdens; love them. I also love hand stitching of most kinds (haven't done needlepoint that I remember...)and I must say: WOW your stitching is fantastic! I have not made any Dresden quilts but it is on my bucket list. love your pillow. Thanks for the wonderful giveaway. Your Dresden pillow is gorgeous and I would love to make it. So far I have not made a Dresden quilt. The giveaway fabrics are fabulous. Thanks for the chance to win some. My love of Dresdens began with a vintage quilt purchased at an estate auction and have made several since using various fabric styles; 1930's reproduction, modern, civil war reproduction and novelty fabrics. My grandmother also fell in love with the Dresden block and pieced her first Dresden Plate quilt at age 89. Thank you for the give-away. I love your pillow and would love to make one like it. I have yet to try dresdens and i have only done hand applique. want to try machine applique. Most of my applique experience has been on clothing and children's items. Would love to learn more through this book! Thanks for the chance! The Dresden pillow is so cute--no sequins required! I have a packet of antique Dresdens that a friend passed on to me. I hope to figure out a setting for them and get them into a quilt sometime this year. They aren't all so perfect, so it's going to require some re-sewing! I have never done a Dresden block before. This looks like fun! I am a recent convert to applique- mainly through my recent Chuck Nohara project. I have often made a single Dresden for a cushion, but would really love to make a whole quilt of them! This book would give me plenty of ideas, I'm sure! I have never done Dresden Plate patterns, and I would love to try! 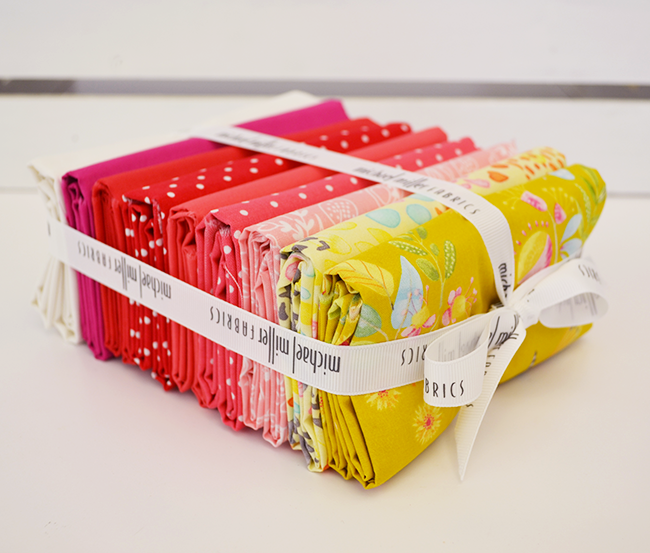 I love yours, and these beautiful and bright fabrics! I have made quarter dresdens in a 30s sampler, but would love to make more! Your embroidery really makes the pillow outstanding! 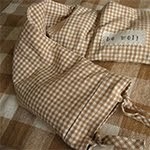 I've always thought the dresden to be too challenging for me, but I'm confident now I could create a pillow like this. I have always loved Dresden quilts but haven't made one yet. It's on my bucket list. 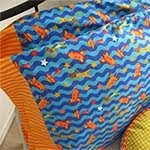 Pets A Plenty from Michael Miller Fabrics! !